How does a year go by? It’s troubling to see that I haven’t updated this bookplate blog in a year, but some exciting things have happened during that time. After years of wanting to have a video about bookplates, we finally have one! 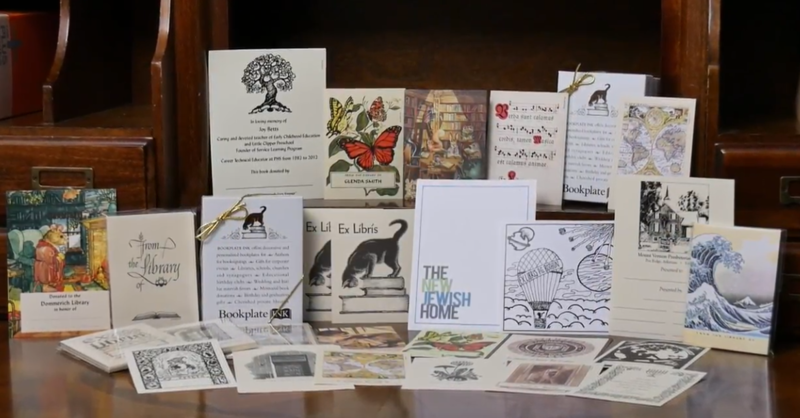 The video shows many examples of both personalized and non-personalized bookplates and how to apply them in your books. It also shows examples of bookplates for children and bookplates for authors, who often use them to promote their books. If you haven’t already watched it on our home page, www. 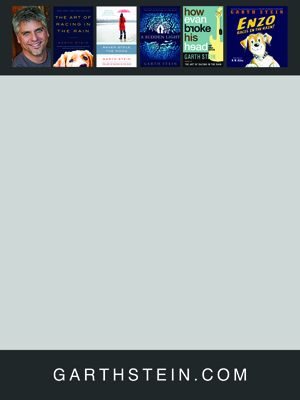 bookplateink.com, check it out on YouTube! We’d love you to share the link with your friends, by email, Facebook, Twitter, or whatever. We’re also excited to have our bookplates now for sale at the Library of Congress gift shop and at their online store. There is a very nicely done Holiday Catalog on the site with the bookplates shown there also. There are some bookplates sold on their site that are not available from us as a non-personalized plate yet. Look for more on our site in the future! The traditional use of bookplates, begun in the 15th century, is to identify the owner of a book. Bookplates, also known as ex libris, are usually decorative, with artwork that is meaningful to the book owner. 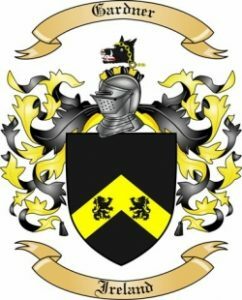 Often they show the family coat of arms or some particular area of interest to the owner. Many well-known figures have used bookplates and many well-known artists have created them over the years, but they are available for anyone to use. The Antioch Bookplate Company, in its early days, promoted the use of bookplates for ordinary folk, as people could order one of its many designs — often called universal designs — that are available to the public. No need to hire an artist to create a design specifically for you, although that is always an option. Many well-known artists, such as Lynd Ward, Rockwell Kent, and Robert Whitmore, created artwork for Antioch bookplates. The Antioch Company closed several years ago, but Bookplate Ink continues to print their popular designs, both personalized and non-personalized. Many of our customers are individuals ordering for their home libraries, but it is noteworthy how many interesting uses people have for bookplates. 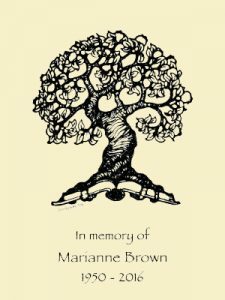 Memorial Bookplates: Many bookplates are placed in books being donated to a library or school in memory of someone, and are often books from their own collection. Sometimes, however, a collection of new books is donated in memory of a loved one, co-worker or teacher. One of our customers donates books to a nearby nature center in memory of her dear daughter, who died much too young. Another customer has requested bookplates in memory of her book club members. And many bookplates are in books g iven in memory of a favorite teacher or librarian. University Libraries: Many of the bookplates we print are shipped to universities, either for their main library or a departmental library. Some of these are to designate a particular collection, or ownership by a university department. Some bookplates are sold at college bookstores, with the logo for the school. Kickstarter Campaigns: Who said bookplates aren’t part of the modern world? Bookplate Ink has printed many bookplates to be given as a reward for donating to a Kickstarter or other online campaign. These bookplates are usually signed by the author/and or illustrator who is the recipient of the funding. Many of these have been for comics and graphic novels. Authors: Bookplates provide a convenient way for authors to reach out to fans with an autograph, when shipping a book or a signing in person aren’t possible. 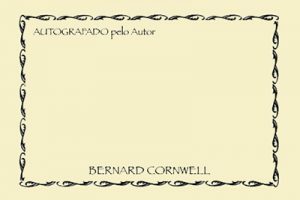 Author Bernard Cornwell has been using bookplates in this way for years. He has a significant fan base in Brazil and recently had his usual bookplate printed in Portuguese. 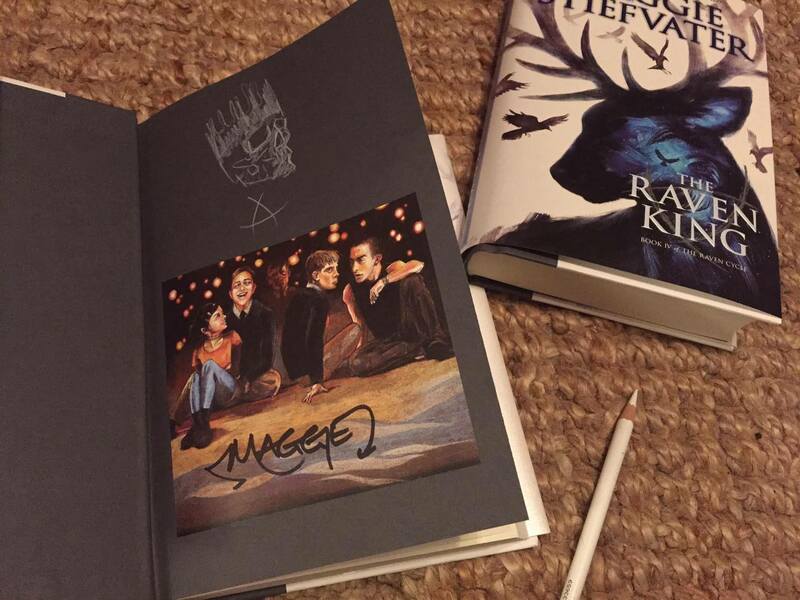 Maggie Stiefvater sends bookplates with her own beautiful artwork, as shown below, to fans in the United Kingdom when she can’t go there on tour. Gifts: Of course, one of the best uses for bookplates is as a present to your favorite reader. Grandparents and parents often order non-personalized bookplates as a stuffing stuffer at Christmas. Bookplates personalized with a name make a special gift for the holidays or a birthday. Many people are thrilled to find the same design they used as a child still available for them to give to their own children. Over the years, we’ve received many compliments on our website, bookplateink.com. Customers have liked the color scheme, layout, and large selection of designs. However, the website was badly in need of updating, as it was in an outdated platform and not mobile-friendly. We are very pleased to announce that the site is now new and updated, though we’ve kept the same look as much as possible. The process was long and laborious, but rewarding. More and more people are looking at websites on their tablets and smart phones, so bookplateink.com is now mobile friendly. This also helps us to be found in Google searches. You can feel comfortable knowing that your ordering will be simple and secure whether it’s from your computer, tablet or phone. The shipping section of our website was no longer accurate and didn’t give our customers any choices. Now, you can choose from a variety of U.S. mail or UPS shipping options. Please keep in mind that US priority mail is often faster than UPS ground, but UPS has better tracking. Our testimonial page has been updated to include images of the bookplates ordered by the customer offering the testimonial. Customers can also submit their own testimonial online, from a form provided on the right-hand side of the page. Look at the page to see a few of the wide varieties of bookplates our customers have ordered. The designs on our new site are the same, but we are now showing the black ink designs with a cream colored background, to better represent their look when printed on cream colored paper. We have always printed bookplates with custom artwork, but now that artwork can be uploaded right on the site, while you place your order. We hope that these and other changes will help you to enjoy browsing our bookplate selection. Remember, bookplates are a unique gift for your favorite teachers, friends and relatives. We also provide bookplates for memorial or honorary book donations, for hymnals and prayer books in churches, synagogues, mosques, and retreat facilities, and for libraries of all sizes. Don’t forget to order some for your own books! Printing bookplates brings the surprising opportunity to learn about interesting projects, non-profit organizations, and companies around the world. We have printed bookplates for George and Barbara Bush to sign for a cookbook of their recipes, as an incentive for Kickstarter campaigns, and for politicians to sign at speaking engagements. 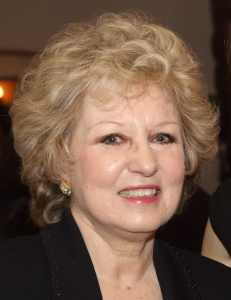 One of our most loyal and lovely customers is Claire Insalata Poulos, the founder of a wonderful organization that helps feed those in need. Claire had been ordering bookplates for years before I realized what important work her organization was doing. Claire founded Table to Table in 1999, after volunteering at a food bank. According to tabletotable.org, “working at the food bank opened the eyes of this chef trained, marketing professional to a horrifying truth: tons of healthy, usable, fresh food was being thrown out and wasted every single day. With the help of New York City’s City Harvest, a handful of committed chef friends and a few volunteers, Table to Table started rescuing the excess fresh food from three local restaurants and a few grocery stores. The first two recipients of this free, wholesome food were two local soup kitchens. Today, its fleet of five refrigerated trucks serves over 80 hunger relief agencies throughout northern New Jersey. The food Table to Table’s trucks collect is donated by approximately 200 supermarkets, restaurants, and distributors and delivered to homeless shelters, soup kitchens, after-school programs and homes for the elderly. Corporate sponsors and chefs such as Thomas Keller, Emeril Lagasse, Tom Colicchio, Lidia Bastianich, Anthony Bourdain and Mario Batali have all helped support Table to Table’s mission. Table to Table uses bookplates when they honor authors. The bookplates can be sent to the author for signing and transported more easily than the books themselves. Claire orders design, MR100, shown on the right. 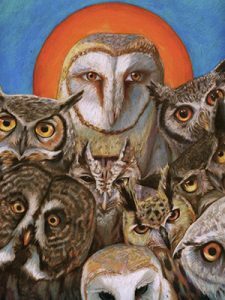 This artwork, by Provincetown, MA, artist Amy McGregor-Radin, is one of our more contemporary offerings. We alter the design by leaving off the “This book belongs to” text. This leaves plenty of space for authors to sign below the appropriately food-themed, bright artwork. Table to Table has now served more than 122 million meals in New Jersey and is a consistently top-rated charity. Truly it is inspiring to see what one woman’s vision and the help of others could accomplish. This past August, my husband and I had the good fortune to travel to Europe. We spent a week in Lucerne, Switzerland, attending spectaular concerts at the renowned Lucerne Music Festival and hiking in the Alps with friends. After traveling by train to Italy, we visited Lucca, Florence and Cinque Terra, walking for miles, and loving the history and beauty of the area. From there, we took the train to Venice, where we took in many of the wonderful museums and explored the city. 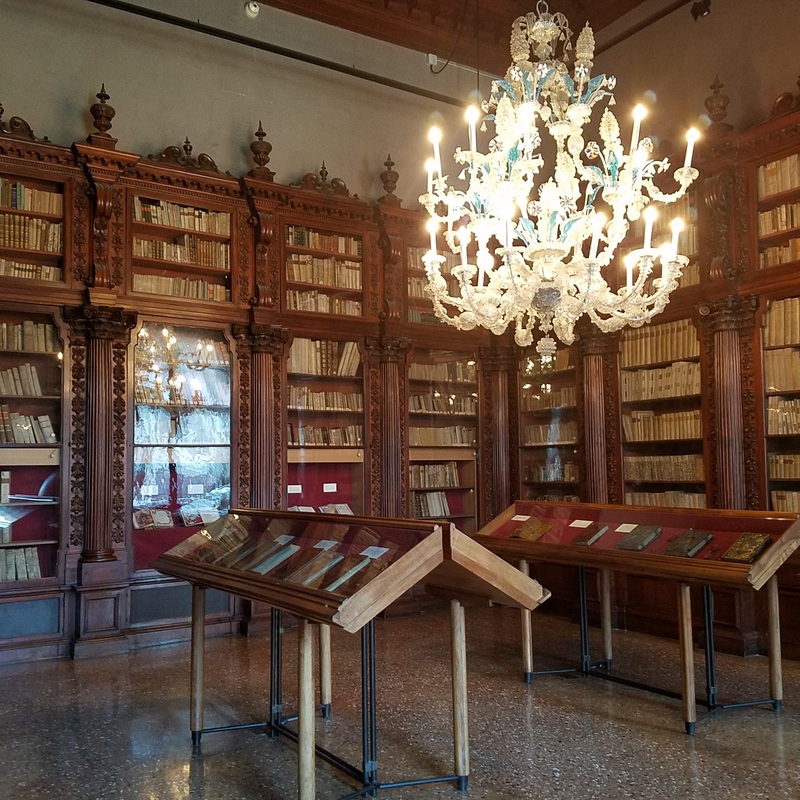 One of the museums we visited was the Museo Correr in Venice, Italy. The Correr sits directly across Piazza San Marco from Basilica San Marco, and is steps away from the Grand Canal. There is an awe-inspiring amount of history and culture in just this one small area but I am going to focus on one exhibit in the Correr. 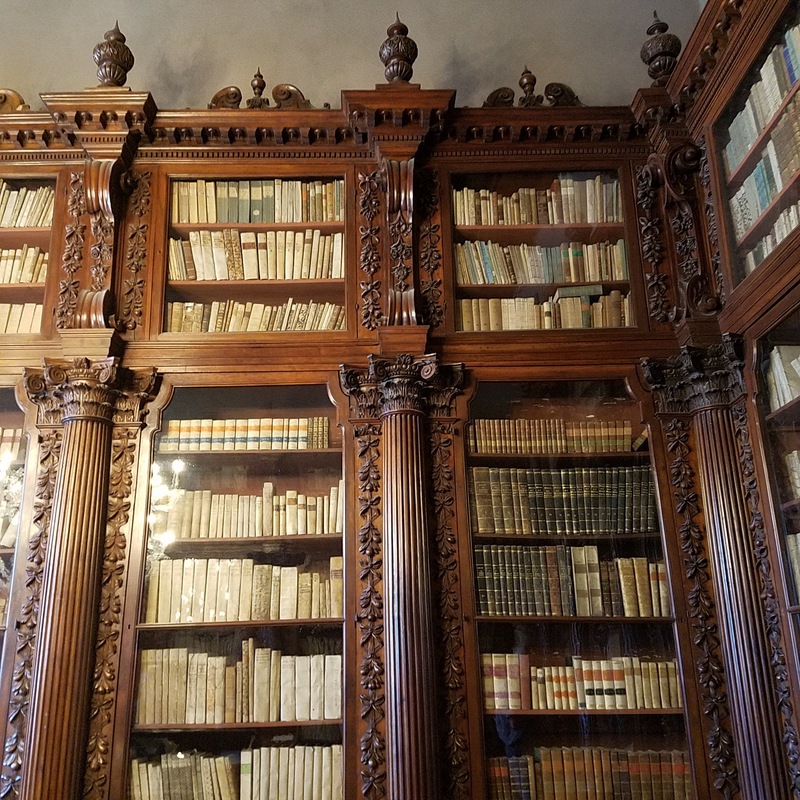 The bookcases today are filled with “rare manuscripts and printed works, dating from the early Sixteenth Century to the end of the Eighteenth.” Surrounding the shelves are display cases with beautiful books from the 1500-1600s. 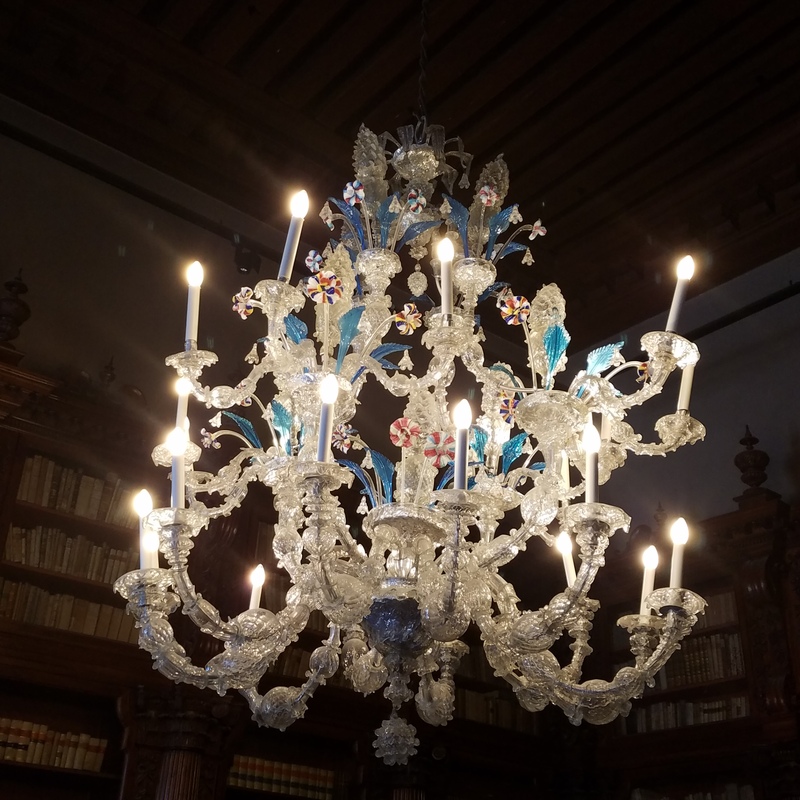 The chandelier hanging above was made from Murano glass in the 1700s. Murano is a series of small islands just outside of Venice and has been home to glass-making since 1291, when the glassmakers of Venice were forced to move there due to fear of fire within the city and its wood buildings. 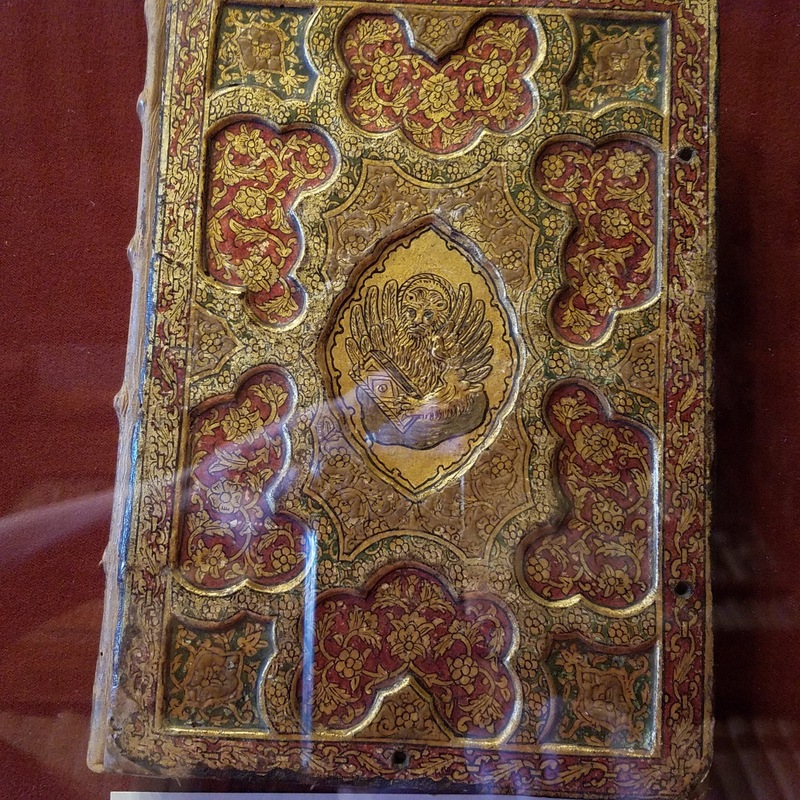 It was fascinating and awe-inspiring to view the intricate artwork in books from hundreds of years ago. I’m grateful that people such as the Pisani family valued their libraries and preserved the world’s heritage through books. During this “digital age,” let’s not forget the importance and endurance of the printed page. Although bookplates have traditionally been used to identify one’s books in a personal library, many authors order bookplates from Bookplate Ink to use for book signings and as a promotional tool and thank you gift to their readers, so I thought it might be helpful to new authors (and seasoned authors!) to show some possibilities. 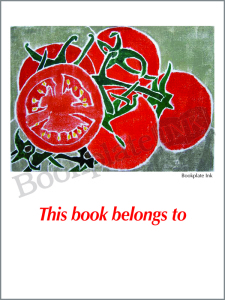 One popular option is to have bookplates printed with custom artwork from your book(s). Some authors have bookplates with the artwork from the jacket cover of the book at the top of the bookplate or as the background for the entire bookplate. Sometimes artwork related to one element or character of the book is used, along with the author’s name and/or website. New York Times bestselling author Maggie Stiefvater has used more than one design for her young adult Raven Cycle series. Maggie posts photos and offers signed bookplates through her website, Twitter, Instagram, Facebook, and Fountain Bookstore. We have seen more than one tweet with a photo from an excited reader who just bought one of her books and received a signed bookplate. Shown in the photo here is a large bookplate created and signed by the author. 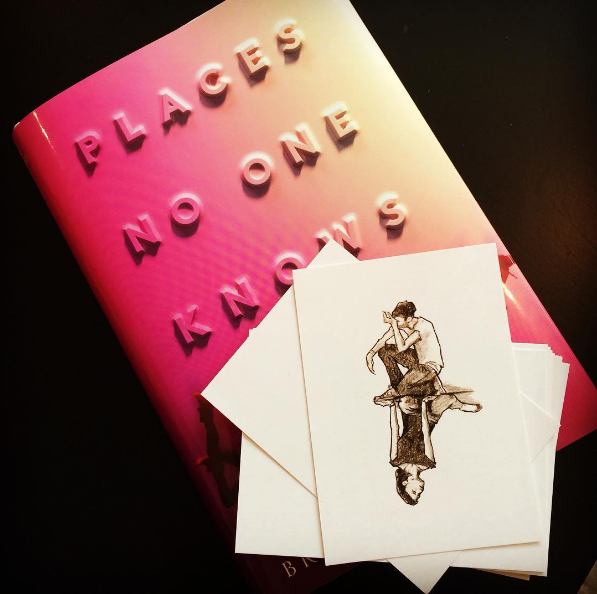 who recently ordered bookplates for her new book, Places No One Knows, and posted a photo on Instagram. The book will be released later this month, but those who pre-order through the Tattered Cover Book Store will receive a free signed bookplate. Many authors use a signed bookplate as an incentive for pre-orders. New York Times bestseller Garth Stein. His latest bookplate is a good example of a design useful for an author who wants a bookplate that encompasses all of his or her published books. As you can see, the jacket covers of his books are shown at the top along with his photo, while his website address is at the bottom of the bookplate. If you’re looking for a simpler and more affordable option, another possibility is one of our non-personalized border designs. These bookplates are printed on a non-glossy, cream colored paper and look very classy. 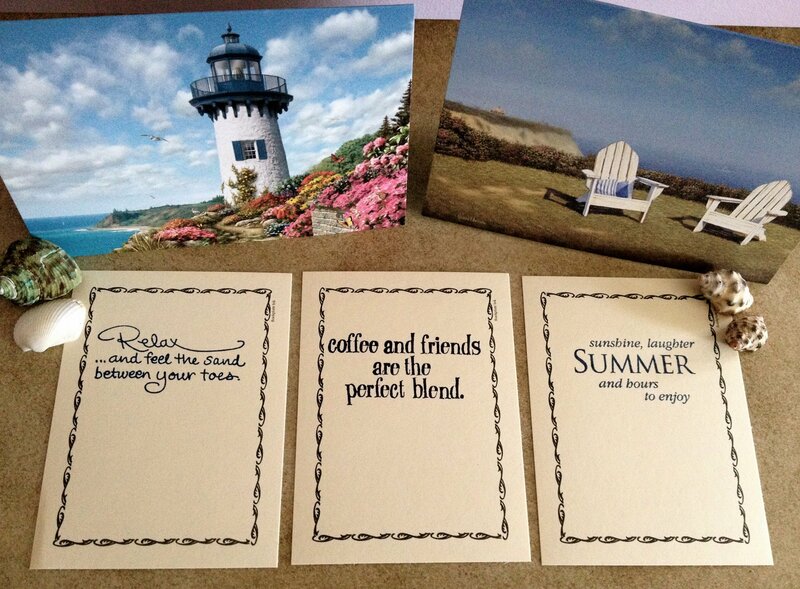 At 3×4 inches, they have plenty of room for your signature and a short message. As they’re pre-printed and we keep them in stock, they ship quickly and are less expensive than custom bookplates. Shown here is one of our most popular border designs, N100. It is available as both a non-personalized bookplate or a custom printed bookplate with the text of your choice. One creative author, Joanne DeMaio, even adds her own stamp to our design M752. For a more personalized look, many authors order one of our many border designs and have the bookplates custom printed with their name, website address and/or book title. We can also add artwork or a logo to any of our border designs. 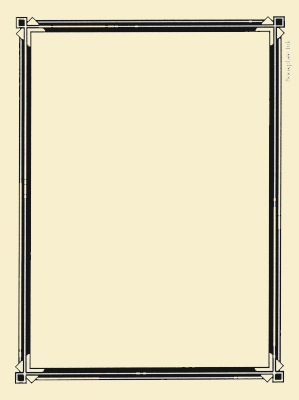 There are many possibilities regarding styles and sizes of bookplates. If you have any questions, feel free to call 866-483-3830 or e-mail info@bookplateink.com.